Pope Francis blessed Tom Evans, father of the seriously ill child, Alfie Evans, during a private audience in the Domus Sanctae Marthae at the Vatican April 18. Evans pleaded for "asylum" for his son in Italy so he may receive care and not be euthanized in England. Dr. Anthony Cole, the Catholic chairman of the Medical Ethics Alliance, has written an open letter saying that the treatment of Alfie and his parents, Tom Evans and Kate James, brought the medical profession in the U.K. into disrepute. “The parents are being tortured as they watch the hospital take actions expected to lead to his death,” according to the letter, which was co-signed April 24 by nearly 60 others, including a number of prominent Catholic doctors. “Despite a viable alternative being available (namely transfer by air ambulance for further assessment to a specialist hospital in Rome), the hospital and doctors responsible for his care insist that he remains under their care and on a pathway toward death,” the letter stated. 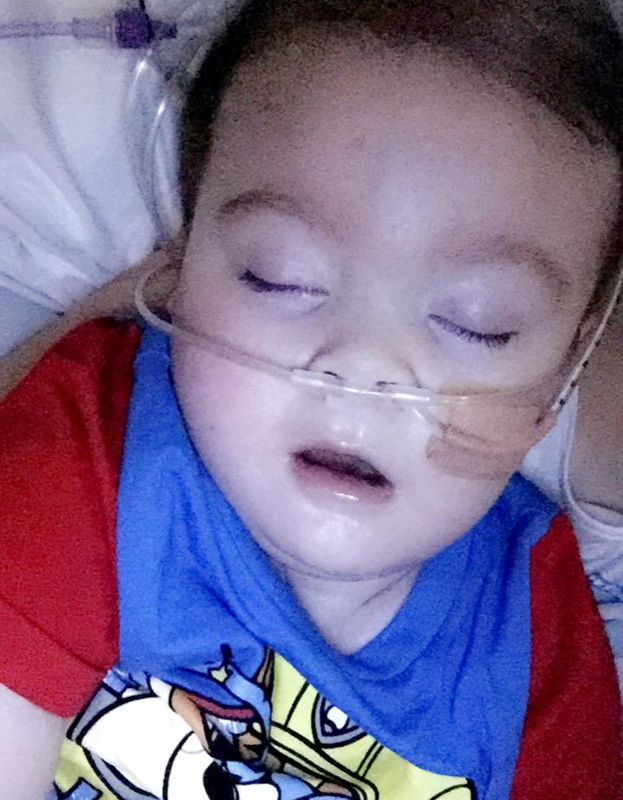 Alfie Evans, a seriously ill British toddler, is pictured in this photo posted by his mother, Kate Evans, to the Facebook group, Alfies Army Official, April 24. Tom Evans, father of Alfie, said the boy’s ventilator was removed April 23 but that he is breathing on his own with the support of oxygen. “While he now has some oxygen and some fluid, this has taken huge effort to obtain for him,” it stated. “Medical tyranny must stop… Poor Alfie must not be killed in this way,” they wrote, demanding his safe passage to Rome. The doctors’ letter also called on the General Medical Council to investigate the actions of the staff at Alder Hey Children’s Hospital in Liverpool. The intervention of the Medical Ethics Alliance, an umbrella group of medical associations committed to upholding the principles of Hippocratic medicine, came the same day a High Court judge refused to allow the 23-month-old Alfie to go to Italy for treatment. The Court of Appeal was due to reconsider the family’s request for Alfie to go Rome April 25. Speaking to ITV News April 24, Evans noted that the High Court judge suggested Alfie might be sent home to die. But Evans said he had been told the hospital believed such a transfer would take up to six days to complete. “In reality we could be in Italy right now,” he said, adding that a German air ambulance was already in Liverpool waiting to evacuate Alfie. He said that although his son was being given oxygen and fluids — after six hours of requests by the family — he had received no nutrition. Alfie was removed from a ventilator April 23 for the first time since he was admitted to Alder Hey in December 2016 with an undiagnosed degenerative neurological condition. Since coming off the ventilator, he has breathed unaided, which Evans said was a “shock” both to him and the boy’s mother. Evans flew to Rome April 18 and begged Pope Francis to help get his son “asylum” in Italy. That same day, a statement issued by the Bishops’ Conference of England and Wales put its weight behind the hospital and the decisions of the courts.